Fascinating! Mediaite covers unlikely GOP frontrunner Herman Cain’s position on abortion, which is more nuanced than what one might expect from a GOP presidential candidate. 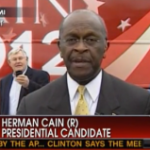 Of course Cain has made a name for himself basically for doing nothing but the unexpected during this protracted campaign season, so should we really be surprised? To read the full post, click here. 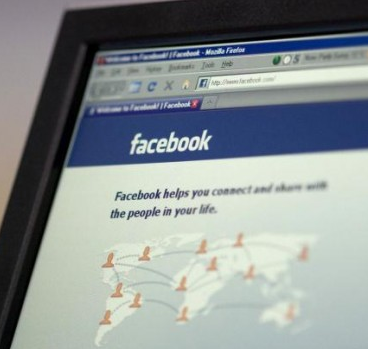 On Geekosystem: it looks like it’s not just Facebook users who need to be concerned about their privacy anymore! 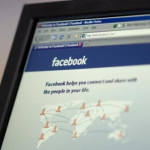 Recent reports suggest that Facebook works almost as hard to collect information on non-users, usually through means such as syncing phone and email contact lists of users and mining them for information. Bad Facebook! Get the full post here. 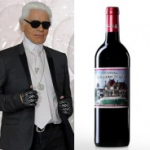 Styleite reports that the ever-prolific Karl Lagerfeld is designing labels for wine bottles now. This is great news for those of us looking to bring a little class and elegance to our solo Friday evening wine consumption ritual. Don’t act like you don’t know exactly what I mean! See the labels here. 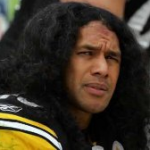 Sportsgrid covers the story of Steeler Tory Polamalu, who suffered a concussion during a game and called his wife to let her know that he was okay. 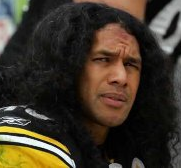 Apparently the NFL saw fit to fine him for this perfectly reasonable behavior. It’s easy to understand fines for homophobic slurs or fighting in the stands…but is this really the same thing? 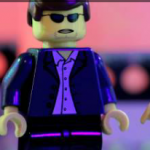 Take, oh, three seconds to think it over. To read the full post, click here. On Gossip Cop today: so Lindsay Lohan was given a second chance to do court-ordered community service work at the LA morgue and immediately screwed it up again by showing up nearly an hour late to her first shift. When she tried to make amends by sending burgers and cupcakes to the staff, the deliveries were turned away. Duh, for two reasons — 1, because NO FOOD AROUND THE DEAD BODIES, and 2, because it’s the judge and not the employees she ought to try to impress! Get the full post here. 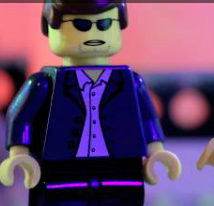 The Mary Sue thinks that CSI: Legoland is a thing that needs to happen…and, well, yes. 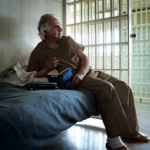 To read their case, click here. 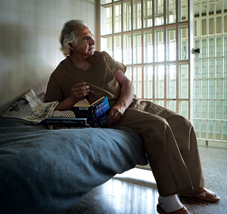 Hahahahahaha: Mogulite reports that Bernie Madoff is loving jail, and reports that it’s “safer than New York.” Okay, that’s a wrap! Goodnight! Have a good weekend, everybody! Get the full post here.